The time has arrived, you have spent long hours working long and hard over a job that you are really proud of or you spent hours thinking about the best decoration for your new restaurant or salon and know you want to take a great photo to show the world in your next advertisement. But why doesn’t it look like those photos in the magazines that you see? Choose the right cameraIf you are taking photos of your jobs on a regular basis for your portfolio, you may find it is worth spending a little bit of money on a base model DSLR (Digital Single Lens Reflex), but it isn’t necessary… you can still get great photos even if you “just” have a point and shoot. 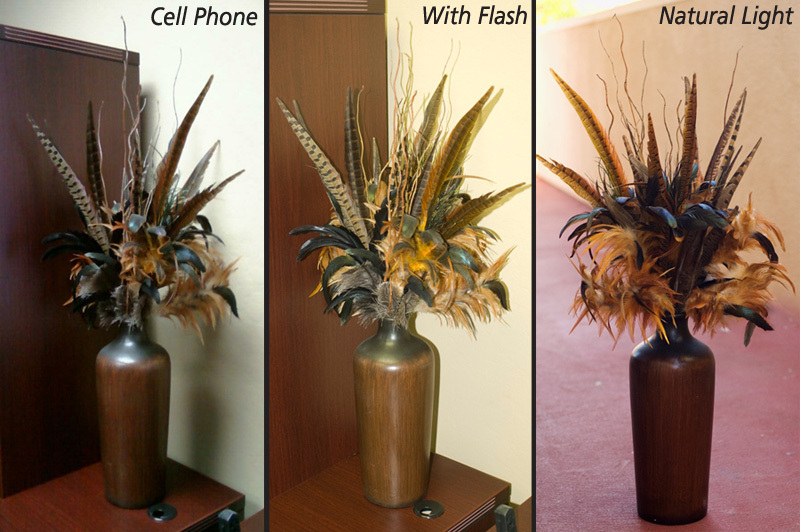 Lighting, focus and composition are the things that will really make the difference in getting a quality image. Lighting High noon is not your friend! Early morning hours or early evening are much better. The time just around sunset is what photographers call “The Golden Hour,” it’s a lovely flattering light for people (but might cause color casts as well, so keep that in mind!) Good light will give your photo more depth and dimension. Keep an eye out for shadows that are cast on the photo; if you’re a house painter, make sure you can clearly see details in the house, and take a step (or ten!) back to ensure you capture the entire house in the photo! You don’t want to accidentally cut off a roof’s eave, or where the house meets the ground. Clean up the areaMake sure that all miscellaneous debris is cleared from the site. I once saw a great photo but they forgot to pick up the hose, that one little thing can really bring an entire image down. Shoot Extra Photos Take Lots of photos from lots of different angles, and don’t be afraid to start far away from a subject and slowly move in closer. You never know what you might find! 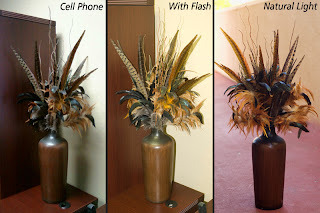 Here are three photos of the same object, taken with three different cameras; a cell phone, a point and shoot with flash and a DSLR using natural light. The natural light photo much better portrays what the product actually looks like, and will help you build trust with a prospective customer, by properly representing your product.